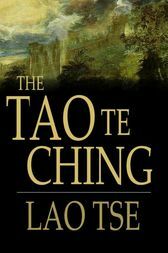 The Tao Te Ching is a classic Chinese book of wisdom, said to have been written by the Taoist sage Laozi (or Lao Tzu, the "Old Master") in the 6th century BC. It is the cornerstone text in Chinese Taoism, a philosophy, religion and way of life, and is also central to Chinese Buddhism. The Tao Te Ching has been an inspiration and guide to many Chinese artists, poets, calligraphers, and even gardeners, throughout history. In recent years its influence has spread far beyond its Chinese origins, becoming a popular source of spiritual understanding and guidance for many.